Reward Hardwood Flooring features remarkable hardwood floors, both domestic and exotic hardwood species, along with natural, environmentally friendly cork floors. Besides manufacturing quality flooring products, Reward also values responsible forest management and safety of consumers. They are compliant with the Lacey Act, which prevents import of illegal harvested wood. They are also compliant with California’s Airborne Toxic Control Measure, which protects consumers from unsafe levels of formaldehyde emission from wood flooring products. Reward is manufactured by Galleher Corporation, a distinguished flooring business since 1937. 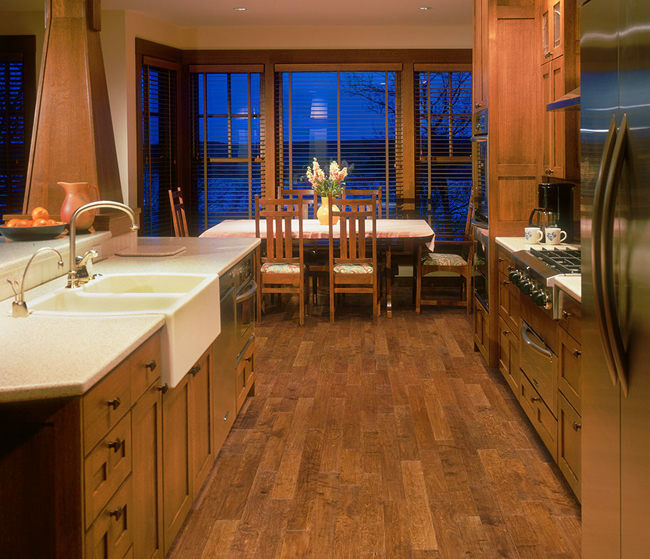 Like Slaughterbeck Floors, Galleher is a proud member of the National Wood Flooring Association (NWFA). 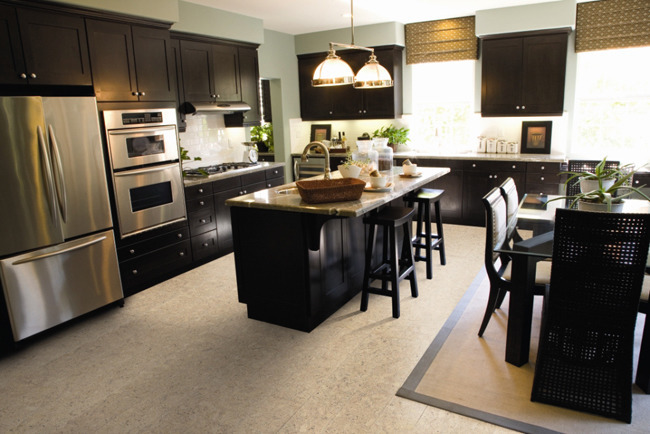 Reward Hardwood Flooring’s hardwood and cork floors follow NWFA’s manufacturing guidelines. 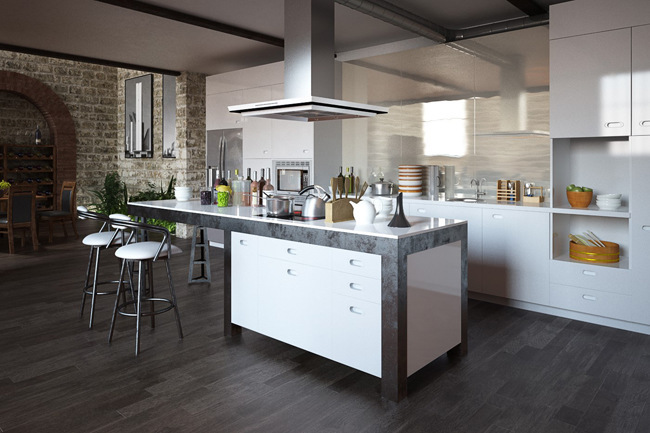 Thus, you can rest assure that you’ll be getting a quality flooring product from Reward. Visit our flooring store in Campbell, CA to view samples and discover Reward Hardwood Flooring in person. Reward offers a wide variety of styles that complement any of your space’s décor. From extraordinary domestic and exotic hardwood floors to sustainable and extremely durable cork floors – Reward got it all. Give your living space an heirloom ambiance with the Boca Birch collection. The hand-scraped, distressed wood flooring comes available in three colors ranging from Tide Brown with its warm russet undertones to deeply colored Grand Dusk. The 5- or 7-inch-wide planks come in random lengths ranging from 18 to 48 inches to exactly fit your space without need to cut. Classic European elegance characterizes the Provence collection. 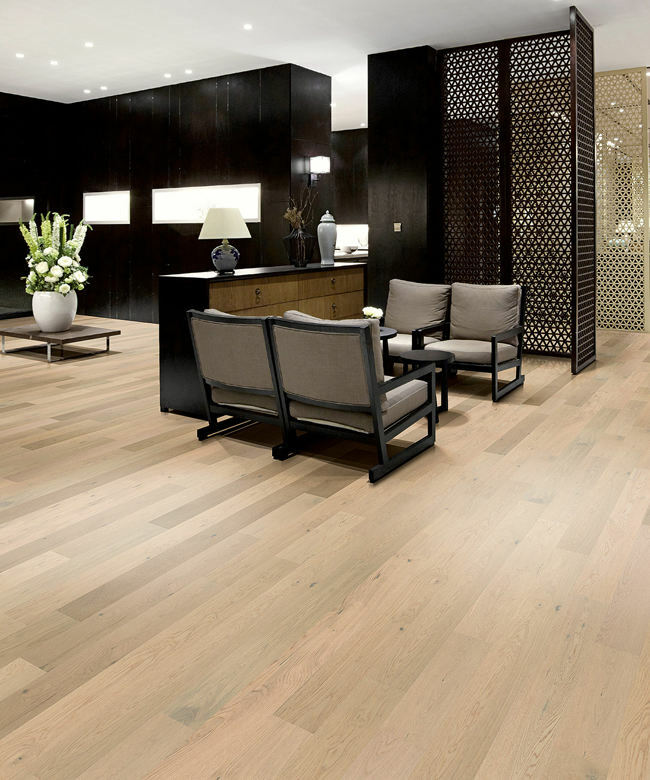 Slow-growing European white oak produces the tight rings that add an abundance of visual interest to this flooring. The grain gets enhanced with a wire-brushed texture. Choose from a palette of colors that range from the cool light grey European Oak St. Remy to the richly dark European Oak Avignon. No cork trees were harmed in the manufacture of this flooring! Did you know that harvesting cork oak bark once every 9 years doesn’t harm the tree? That means it can enjoy its full 200-year lifespan while producing materials for durable flooring. Reward Flooring’s cork floors are finished to last for 25 years or more and come in four colors from a light Arctic shade to the richly warm Cafe Delta. All Reward Hardwood Flooring comes with an aluminum oxide anti-scratch finish and a 25-year finish and lifetime structural warranty. Edges and ends are micro-beveled, creating a smooth fit from wall to wall. For something truly special, select options that bring out grain and texture of the hardwood floors through handcrafted enhancements such as hand-scraping or wire brushing. Achieve rustic flair with distressed flooring that replicates tool marks, wormholes and other visual effects producing a timeworn appearance. Beveled edges emphasize each plank. Hand staining and double staining enhance the depth of color. Reward Hardwood Flooring makes flooring in a versatile variety of hardwoods and cork floors. 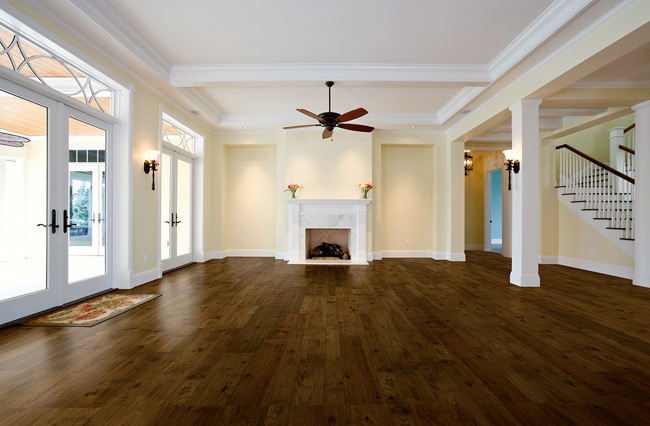 You’ll find classic hardwood flooring choices that include hickory, maple, oak and walnut. Or go for something a little less traditional. Acacia lends energy and visual interest with abundant grains and knots. Birch has artistic contrasts of lighter sapwood with darker colored sapwood. Each species of flooring comes in a range of shades to suit your home’s decor. Stop by our showroom to see Reward Hardwood Flooring’s many choices. Enjoy personalized service as you consult with one of our flooring experts to select flooring just right for your home or business.